Over the summer I got to visit one of San Jose's sister cities: Dublin, Ireland. 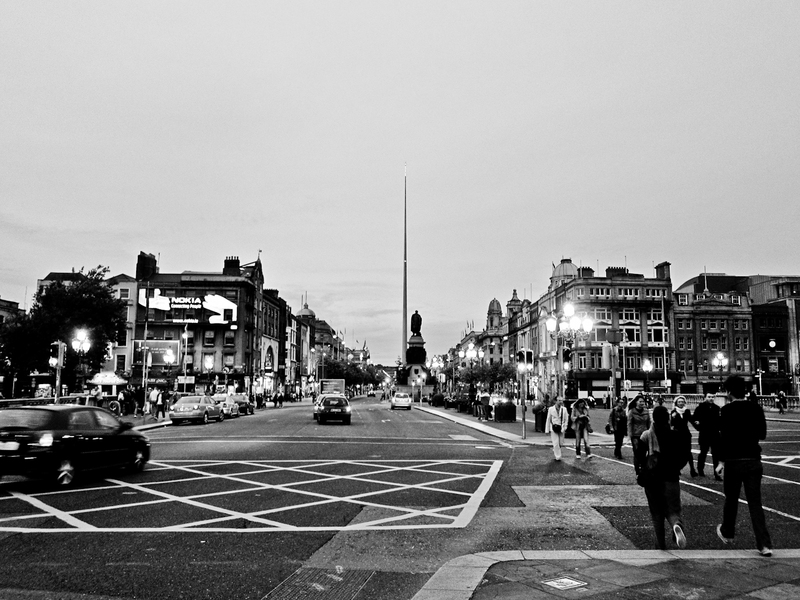 Out of all the cities I visited in Europe, Dublin was actually my favorite. The people were extremely friendly, there is history and character around every corner, great nightlife, amazing food, and it was very easy to get around either by walking or by bus. It also goes to show you don't need height to have a vibrant city (just about all buildings are under 6 stories). 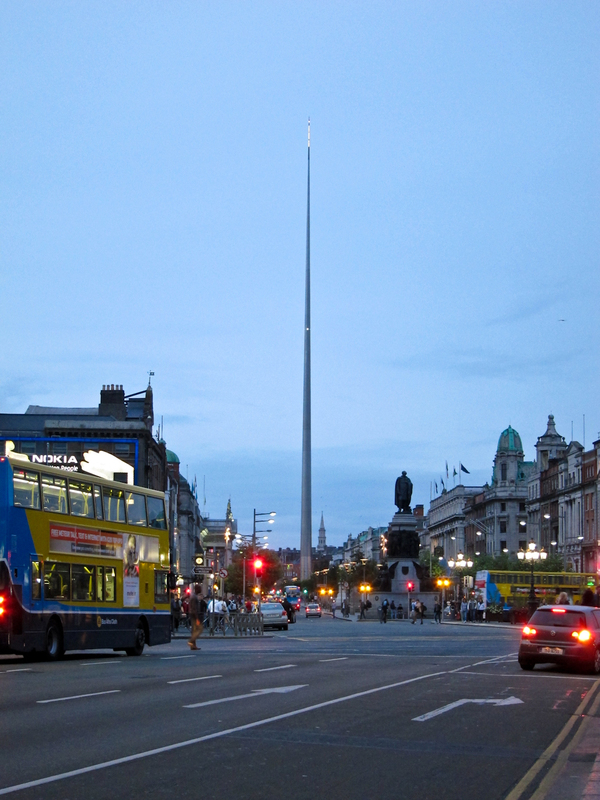 There was one monument that particularly stood out called the Spire of Dublin or Monument of Light. It's a 398ft tall spike right in the middle of the city center that lights up at night and is easily visible from everywhere. It also happens to be the tallest sculpture in the world. People use it as a beacon to get to the city center and also as a meeting place. I couldn't help but think of how cool it would be to have a sister monument in San Jose, perhaps even in Cesar Chavez park to replace our other "sculpture." We could also put a San Jose spin on it, increase the number of LED lights on the spire and make them either dynamic or interactive like the lighting system on The 88 or one of the Zero1 exhibits last year. It would be way to honor a sister city and also create a permanent landmark in San Jose's skyline! 1. Whenever I get down about the airport preventing us from having tall buildings, I remind myself Europe's most beautiful cities do not exactly have New York skylines. 2. Just one tall structure is enough to help define a city. Now where could one go without violating height restrictions? Maybe North San Jose as some sort of beacon for businesses? This sounds like the old San Jose Electric Light Tower that was located at the intersection of Market & Santa Clara. I'd love to see a modern version of it done up in LEDs.